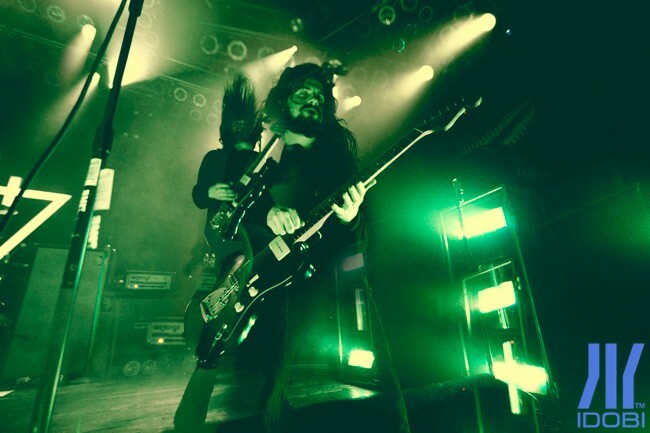 Tag: "The Devil Wears Prada"
idobi photographer Crystal Huffman covered The Devil Wears Prada show at The Norva in Norfolk, VA.
Killswitch Engage and Anthrax are hitting the road along with special guests The Devil Wears Prada, in one epic tour presented by SiriusXM Liquid Metal—and we’re giving away tickets! 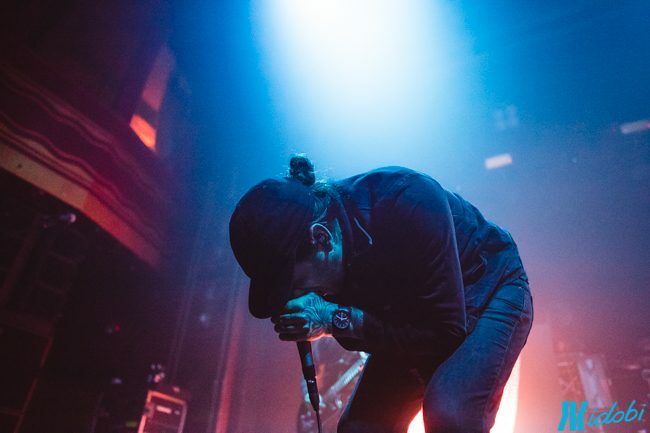 idobi photographer Lindsey Blane covered The Devil Wears Prada show at Webster Hall in NYC. 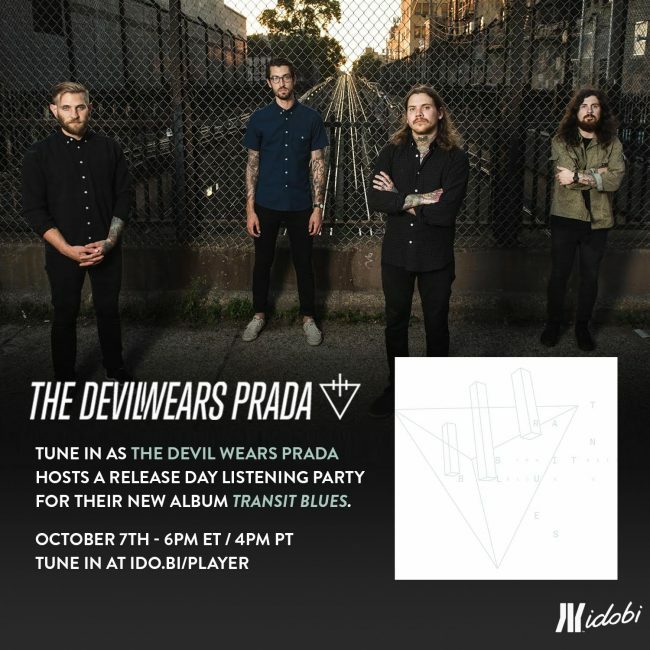 It’s two days away from The Devil Wears Prada’s new release, and seven before they head out on a national tour, and there’s one thing on guitarist/vocalist Jeremy DePoyster’s mind. Tomorrow at 6PM ET, join us to hear vocalist Mike Hranica take you through the album’s tracklist, reminiscing about the creation process along the way. 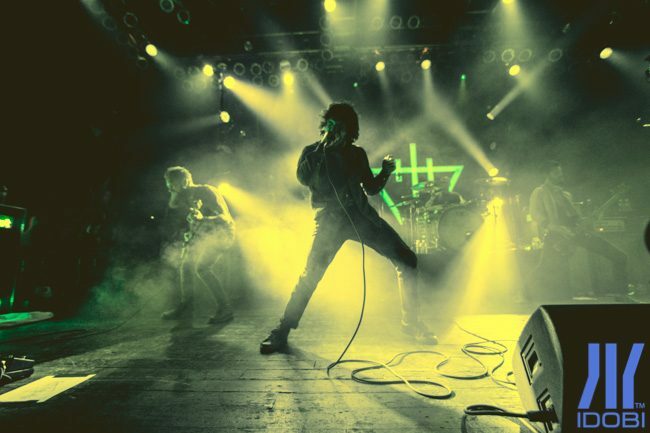 idobi photographer Megan Leetz caught the Zombie 5 Year Tour at House of Blues in Chicago last week. 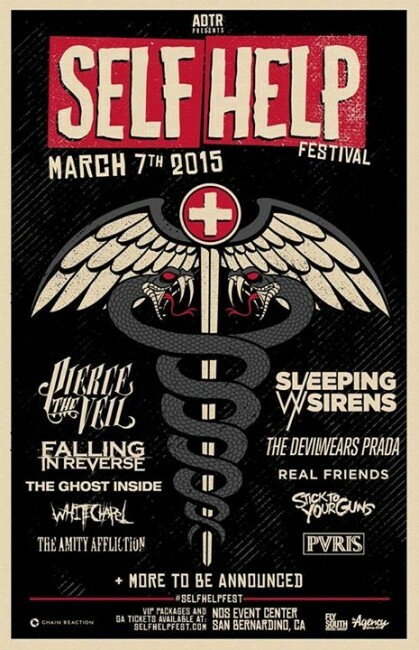 A Day To Remember have announced their annual Self Help Fest in San Bernardino, CA. The lineup features Pierce The Veil, Sleeping With Sirens, Falling In Reverse, The Devil Wears Prada, The Ghost Inside, Real Friends, Whitechapel, Stick To Your Guns, PVRIS, The Amity Affliction, and more to be announced. 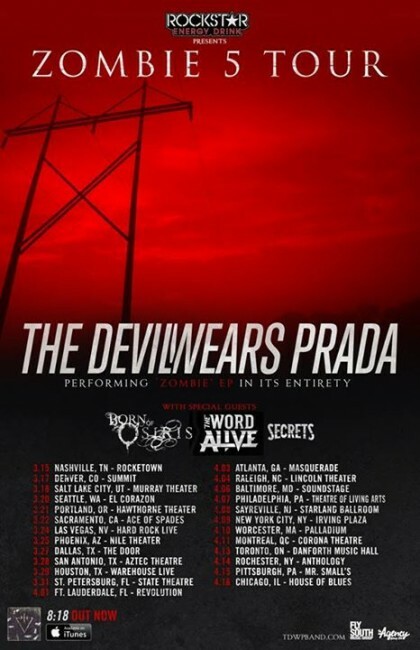 The Devil Wears Prada hit the road in 2015 for the five-year anniversary of their Zombie EP, which they will be playing in its entirety each night along with more fan favorites. 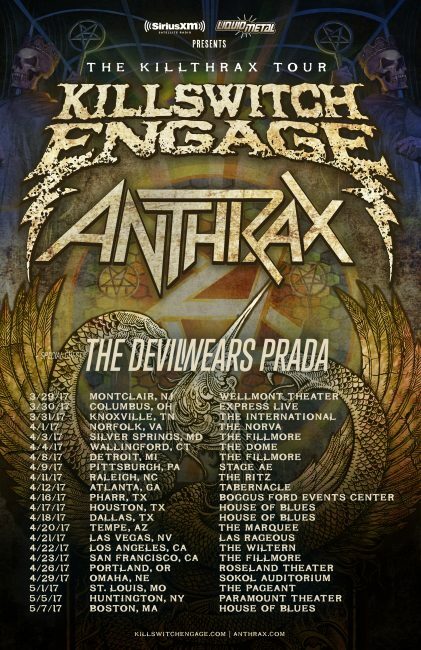 Born of Osiris, The Word Alive, and Secrets will join the band as support on the 25-date run across North America. 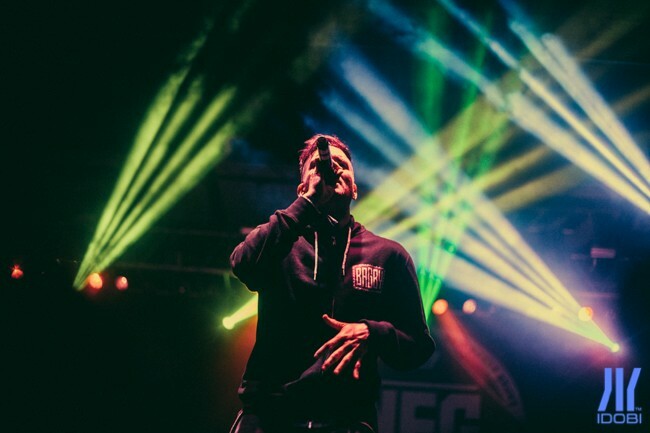 The Road To Warped concert has announced its full line-up. 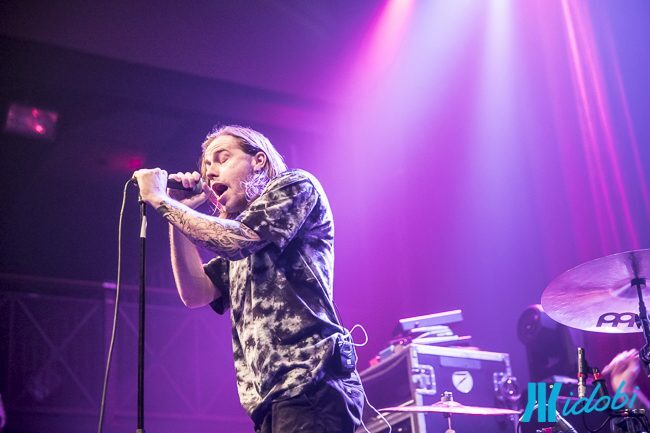 All Time Low, The Devil Wears Prada, Less Than Jake, Yellowcard, 3OH!3 and Falling In Reverse will take any of the three stages set up in Anchorage, AK for the show.